"I'm going to work really hard this year, and a big goal or dream of mine is to have my first $1 million dollar win." So said Kristen Bicknell when she had just been crowned the Female GPI Player of the Year for the second year in a row, just last week. She had no way of knowing she would get so close to her announced goal mere days later. Now Bicknell has made it to the final two tables in the $25,000 buy-in PokerStars Players Championship, already guaranteeing herself a score of $229,700. With $5.1 million up top, that longed for seven-figure score is so close. "Day 1 and 2 went incredibly smooth; I literally didn't get in any pre-flop all-in situations at all," Bicknell said of her start. On Day 3, though, things got a bit more complicated. "Yesterday was a massive battle. I tried to apply a lot of pressure around the bubble and it went very poorly for me. Everyone made some good calls against me and cards didn't really go in my favor. So yesterday I definitely ended up battling the shortstack a lot. I didn't really get in any great situations to accumulate chips." "I love the adrenaline, I love the competition, the pressure; it's so fun!" Despite some setbacks and no momentum, Bicknell survived the bubble and the day, coming back today on Day 4 with 22 big blinds. "It's been a little bit up and down," Bicknell said of the day, "I haven't been over thirty big blinds and I haven't been under 13. So I've been just kind of battling the shortstack." While on the bubble, the realization seemed to set in for a lot of players that there was some real big money on the line. Not just for the Platinum Pass winners, but also for all the other players involved. Bicknell, no stranger to these kinds of tournaments but still conscious of the magnitude, described how the field was when the bubble loomed. "Even looking at players pulses; everyone's heart was like we were all running a marathon here. Everyone's heart was beating out of their chest!" Not just the bubble was thrilling, Day 4 maybe even more so. With every payjump, the money is getting bigger. "It's incredibly intense now, I don't think anyone's talked all day really at the tables. Everyone's just super focused, intense; There's a lot of pressure, I love this." Some crack under the pressure, others thrive. Bicknell, she says herself, belongs to that latter category: "This is what I play poker for: these moments. I love the adrenaline, I love the competition, the pressure; it's so fun!" Whatever the outcome, Bicknell is having a good time here in the Bahamas, praising the set-up of the tournament without holding back: "This journey has been absolutely incredible. A $25K buy-in with 1,000 people is just crazy. I'm playing for a lot of money up top, it means a lot to me." Kristen Bicknell is running deep in the PSPC. 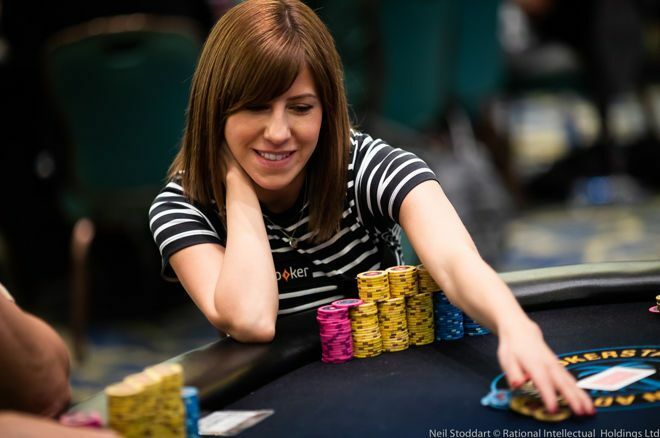 Bicknell, who doubled right after we talked to her to really be in prime position to make the final table, reflected on her lofty goal of a seven-figure score, set not even a week ago. "I definitely have big aspirations for the year in general," Bicknell said. "My biggest cash to date is like $290k and I feel like I've had so many opportunities to have a bigger cash." Why a million? "It's just that there's something fun about winning a million dollars in a poker tournament. I imagine there is at least. That is definitely my goal for 2019. It would be amazing if I started the first tournament I played for the year with that." "It's just that there's something fun about winning a million dollars in a poker tournament. I imagine there is at least." While we here at PokerNews praised Bicknell's accomplishment of winning the Female Player of the Year GPI honors for the second year in a row, there's a different 2018 accomplishment Bicknell is even more proud of. "I also won the Number 1 Canadian player which actually means a lot to me. 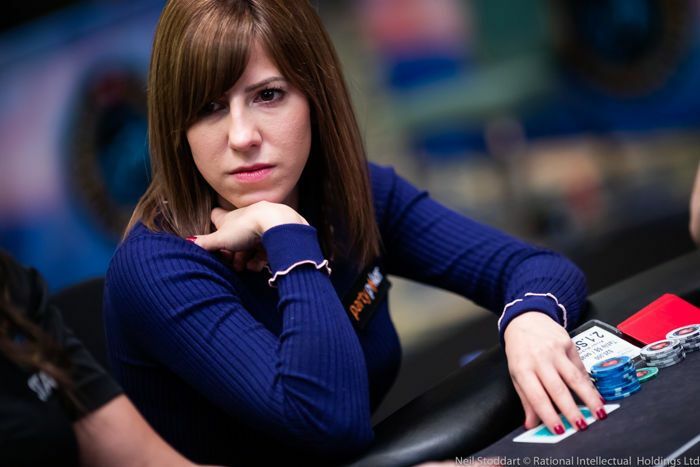 There are not so many women in poker. So you know, the fields that I play in, it's such a small percentage of women that actually come consistently and compete. So I think the Canadian title means a lot more." Bicknell's boyfriend Alex Foxen won the overall 2018 GPI ranking, something Bicknell is looking to do better in this year. "I would love to be a little higher in the GPI overall. But yeah, it was an incredible year. I had a lot of fun runs, a lot of experience gained." In a way, Bicknell sees last year as a warm-up for this year, setting the bar even higher for herself. "[it was] definitely a preparation for this year and I imagine I'll play more poker than I'll ever play in my life because it's not sustainable what I'm doing." Asked to elaborate on what she meant with what she's doing not being sustainable, Bicknell explained she one day wants to get married and have kids, something not as easily combinable with playing such a heavy schedule as she is today. "I'm traveling stop to stop; it's stressful, it's tiring." "As long as my love and passion for poker stay, I'll stay in the game as much as I can." Not only possibly settling down one day makes her believe what she's doing has an expiration date, there's something more to it. "I think poker is such a mental sport. I think there's a prime age for it; I think that your cognitive capabilities decline as you get older. It's fun but it's a grind. They don't say that for nothing." "As long as my love and passion for poker stay, I'll stay in the game as much as I can. If I could build up a bankroll, do some other things, play poker comfortably, that would be the dream. And maybe one day have a family and try to do that with poker, but for now I'm definitely living the poker dream." Follow Bicknell and her competition with PSPC Live Updates in the PokerNews Live Reporting section.